Earl Carter has always had a passion for solving puzzles and understanding how things operate. He quickly learned that identifying security weaknesses is just like solving puzzles. 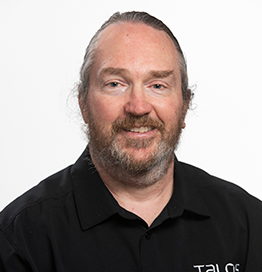 Almost 20 years ago, he was introduced to network security when he accepted a position at the Airforce Information Warfare center in San Antonio, Texas. In 1998, Mr Carter started working at Cisco and became one of the founding members on the Security Technology Assessment Team (STAT). After spending 15 years identifying new security threats, Mr Carter became a Threat Researcher for Cisco Talos. Now he spends his time hunting for new threats against live customer networks by examining various intelligence feeds and data sources. Among Mr Carter’s significant contributions to Cisco are multiple security patents and authoring and co-authoring several Cisco Press Security Books.